Students will enjoy this writing activity based on the game Password as they create "feast" of sensory words that describe Thanksgiving-related vocabulary! 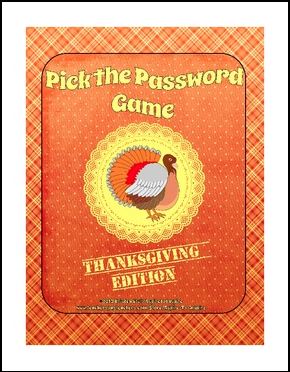 Students choose a Thanksgiving-themed password, then complete a list of sensory words--taste, touch, smell, sound, and sight--to describe the word. These sensory words become the clues that the student then gives to a partner or small group to help them guess the password. Great practice for descriptive writing!